Congratulations to Mallory Royer for winning the SAI Fall 2017 Photo Contest! 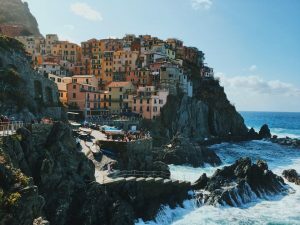 Mallory is studying abroad with SAI in Florence from College of Charleston, and she submitted this stunning photo taken in Cinque Terre, Italy. Mallory’s photo received the most “likes” and she has been awarded a $100 Amazon gift card. To view all the photos please see the Facebook album.